You will need to have already downloaded and installed Bunifu Antivirus. Please enter your details below to get the premium download link. We will also use the email to send you the license key. 2. 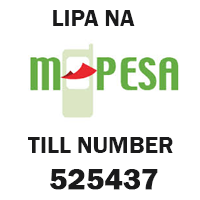 Select Lipa na M-PESA, choose Buy Goods and Services. 10. You will get a successful notification message. The product should also indicate premium. © 2017 Bunifu Antivirus. All Rights Reserved.